​The further you get from civilization the more critical having the right trail maps, navigation gear and navigation knowledge is. Whenever you take a hike you should have a map, unless you have hiked the area enough to be familiar with the trails. Even on short hikes in unfamiliar areas having at least a small trail map is a good practice. If you are hiking longer distances, or more treacherous terrain, then having a more detailed map that shows a larger area and the topography is the way to go. The criteria that we use to evaluate maps are: 1) coverage area, 2) scale, 3) level of detail, 4) key facility/sights markings, 5) topography granularity and 5) usability in various weather conditions. For most day hikes we take a small paper map of the trails and augment that with a couple of GPS enabled map apps on our iPhone. For multiple day hikes and camping trips we take a laminated area map of the area and our iPad with multiple offline map apps – to include detailed USGS topographic maps. On many occasions the trails are well marked and easy to follow – so a map is not essential. But when a map is required it is indispensable. Taking just an electronic map on a long trip can be risky – so take a paper map too - even if it is only your backup map. ​You can buy all sorts of maps at Amazon or your local book and outdoor stores. Lots of times we find that we want to make a short note of some sight, trail direction or other item while we are hiking. To facilitate this we always take a small note pad and a pencil. We use a wooden pencil since pens always seem to stop working unexpectedly and mechanical pencils run out of lead and break more easily. Whereas, wood pencils can be sharpened on the trail. We also like taking a notebook with real paper and a wood pencil since they can be used to start a fire in an emergency. The criteria that we use to evaluate these notebooks are: 1) size, 2) paper type and 3) ease of opening. 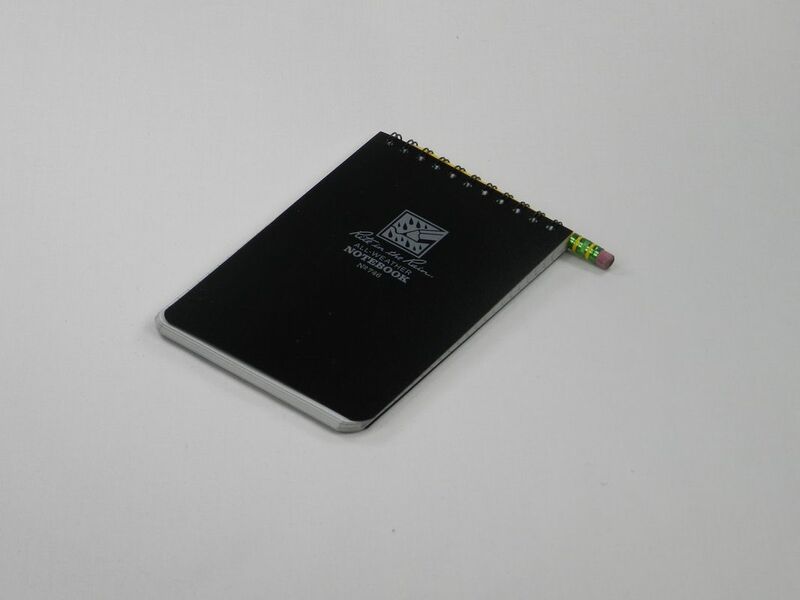 For short trips on sunny days we take a Studio C Zip-it Notebook since it is 5”x7” and has normal white paper which allows us to sketch if we want to. We also like that the notebook has a pouch on the cover to hold our pencil and other papers is desired. 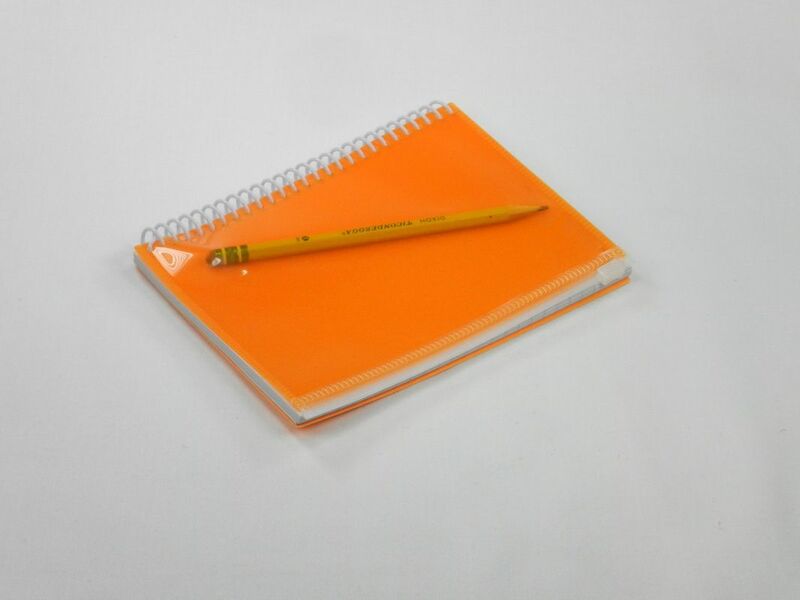 You can buy this small notebook at Amazon. On longer trips, where the weather can be more variable, or on days that we know that the weather will be wet, we take a Rite in the Rain All-Weather Memo Book and a wood pencil. This combination allows us to write notes in any weather. You can buy this memo book at Amazon. 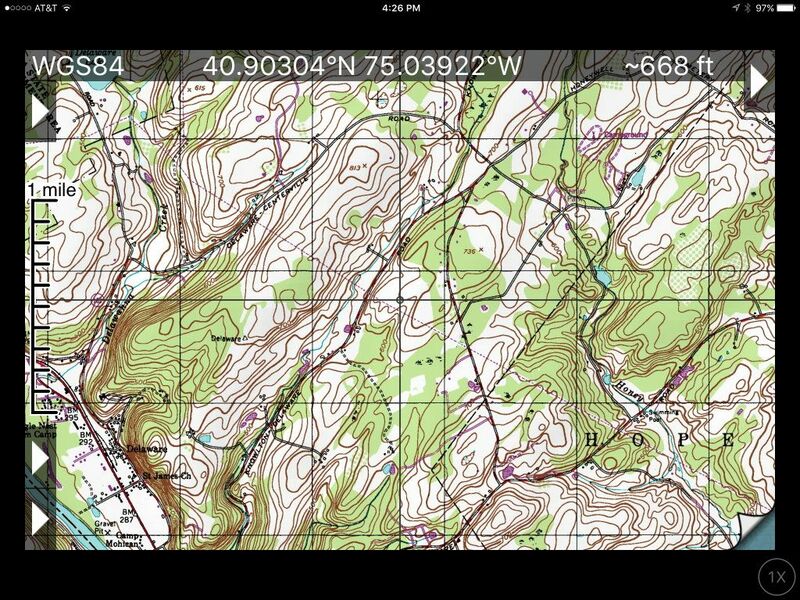 ​Even when we have our iPhone and/or iPad with loaded with GPS map apps with us on a hike we always take a compass too. Electronics run out of power. Internet and GPS coverage are affected by terrain and weather. 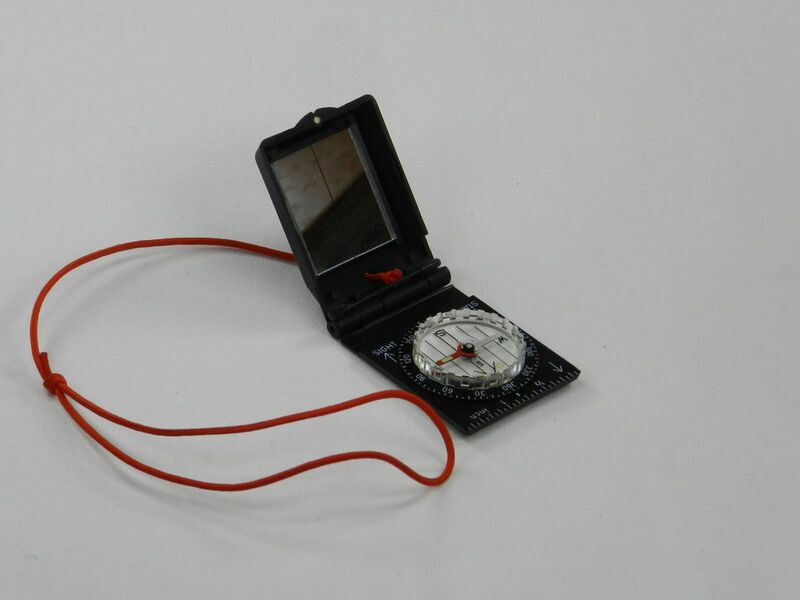 So having a small, lightweight compass is essential. 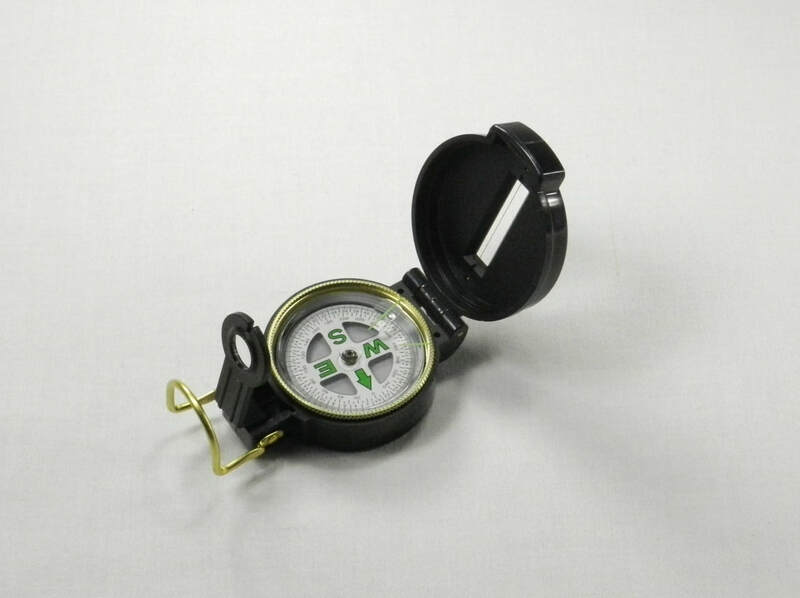 The criteria that we use to evaluate compasses are: 1) size, 2) clarity of markings, 3) construction material toughness, 4) ability to operate in the dark, 5) ease of sighting and 6) price. We like our Silva compass because it is compact, has clear markings, is luminous in the dark and has a built in reflecting mirror. Although you can no longer buy a Silva Type 27 Compass (since they no longer make this exact model), you can buy other Silva compasses at Amazon. ​In addition to our Sliva Type 27 Compass, for more complicated/longer adventures in the outback, we also carry a UST Lensatic Compass (it’s also good to have a backup compass on longer trips – just “in case”). The criteria that we use to evaluate compasses are: 1) size, 2) clarity of markings, 3) construction material toughness, 4) ability to operate in the dark, 5) ease of sighting and 6) price. The UST Lensatic compass has an adjustable lens for clear sighting, easy-to-read bearing markers, luminous directional letters for nighttime use, the precision alignment of a liquid compass, and folds up into a compact package in a shock-resistant case. The compass measures 3" x 2" x 1" and weighs 2 ounces. Although the case is only made of plastic, and is consequently not as sturdy as compasses with metal cases, we think that the tradeoff of the weight versus the sturdiness was reasonable. There are other compasses on the market if you want one that’s sturdier (but also costs more). You can buy the UST Lensatic compass at Amazon. While hiking it is often a good idea to look ahead to see where you are going and what the upcoming terrain is to plan the upcoming travel direction and to time breaks. To allow us to do this (and to help with animal and bird watching) we keep a compact pair of binoculars in our day pack. The criteria that we use to evaluate binoculars are: 1) magnification, 2) folded dimensions, 3) weight, 4) ability to refine focus and 5) price. As with most optics, you often get what you pay for. There are lots of cheap binoculars on the market. The trick is to find a set that has good optical clarity and magnification – but doesn’t cost too much. We found that Meade is a good option that balances all of the criteria at a reasonable price. 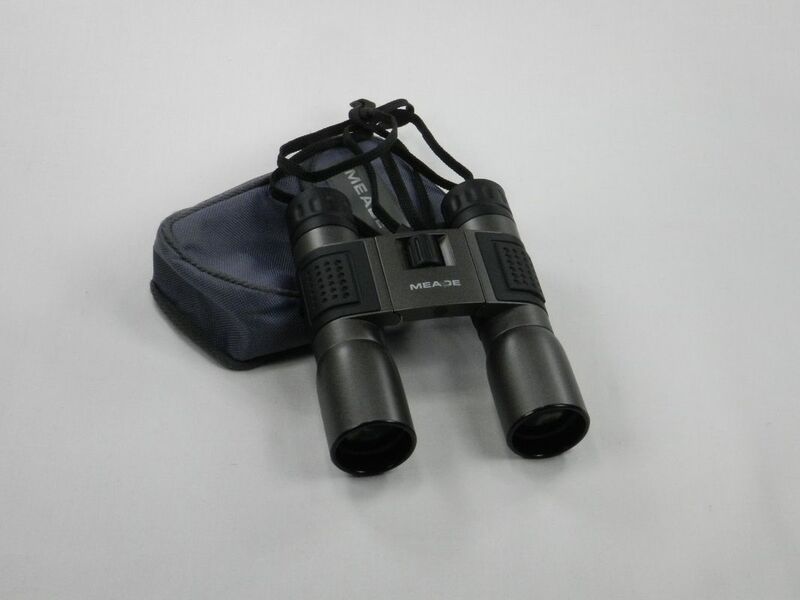 You can buy Meade binoculars at Amazon.